Is your company compliant with FDA newly announced Bioterrorism Act recordkeeping provisions? Larger companies have until Dec. 9, 2005, to get ready, while small businesses (those with fewer than 500 but more than 10 full-time equivalent employees) have until June 9, 2006. Very small businesses (those with 10 or fewer full-time equivalent employees) have until Dec. 11, 2006. To help its membership be better prepared to meet these deadlines, the International Fresh-cut Produce Association (IFPA) hosted a 90-minute teleconference Jan. 26. Those joining in heard Mel Drozen of Keller & Heckman, the IFPAs legal council, address major FDA food facility recordkeeping requirements expected to impact fresh-cut processors and others involved in the trade. Following his review, participating members were permitted to field questions. Introducing the teleconference format, Jim Gorny, Ph.D., IFPA vice president of technology and regulatory affairs, applauded those participating. The Public Health Security and Bioterrorism Preparedness and Response Act of 2002 (Bioterrorism Act) amends the Federal Food, Drug and Cosmetic Act to include a new section 414 entitled Maintenance and Inspection of Records, Drozen said. The new section 414 provides records inspection authority to FDA. FDA has the right to inspect records whenever it determines there a reasonable belief that a food is adulterated and presents a threat of serious adverse health consequences or death, Drozen said. Those that are needed by FDA for inspection to allow for the identification of the immediate previous sources and immediate subsequent recipients of foodone step back, one step forwardDrozen explained. Such information is needed to address credible threats of serious adverse health consequences or death to humans or animals. Any person (individual, partnership, corporation or association) who manufactures, processes, packs, transports, distributes, receives, holds or imports food in the U.S. (even if for export) must keep records, Drozen said. Also included are foreign facilities that transport food for human or animal consumption in the U.S. and persons who place food directly in contact with its finished container. The latter must maintain records as to the finished container that directly contacts the food (immediate previous source for the finished container and immediate subsequent recipient for the finished product).  Fishing vessels that are not involved with processing (fishing vessels that process food must adhere to full recordkeeping requirements).  Retail food establishments with 10 or less full-time equivalent employees per establishment.  Persons who manufacture, process, pack, transport, distribute, receive, hold or import food contact substances (other than the finished container that directly contacts food).  Persons who manufacture, process, pack, transport, distribute, receive, hold or import the finished container as to the finished container. (1) nontransporter and (2) transporter. A nontransporter is defined as a person who owns food or who holds, manufactures, processes, packs, imports, receives or distributes food for purposes other than transportation. Nontransporters must keep records on the immediate previous source and the immediate subsequent recipient. A transporter is a person who has possession, custody or control of an article of food in the U.S. for the sole purpose of transporting the food. This definition includes foreign persons that transport food regardless of whether they meet this definition, Drozen clarified. Transporters must keep records on transportation activities and the person from whom it receives food and the person to whom the food is delivered.  Name of firm, address, phone, fax, email of nontransporter immediate previous source.  Adequate description of the food (include brand name and variety). 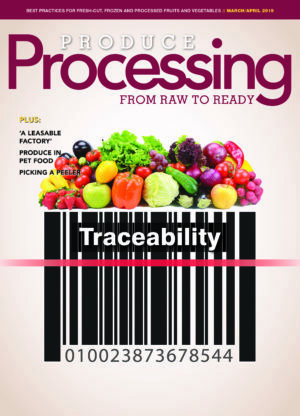  ONLY for person who manufactures, processes or packs food, the lot or code number or other identifier (if it exists).  Quantity and how packaged.  Name of firm, address, phone, fax, email of transporter who transported the food to you.  Name of the firm, address, phone, fax, email of nontransporter immediate subsequent recipient.  Name of the firm, address, phone, fax, email of transporter who transported the food from you. Nontransporter records must include all information reasonably available to identify the source of each ingredient that was used to make every lot of finished product, Drozen said. All potential sources of ingredient that went into the finished product must be identified. The records required by the rule must be established at the time the covered activities take place (when the food is received and released), Drozen told the teleconference participants. Such records also must be retained at the establishment where the covered activities described in the records occurred or at a reasonably accessible offsite location. The rule allows for the maintenance of electronic records. The record retention period depends on shelf-life and identity of the person (transporter or nontransporter), he explained. There are specific requirements for both transporters and nontransporters. All records required must be readily available for inspection and photocopying by the FDA when the agency has a reasonable belief that an article of food is adulterated and presents a threat of serious adverse health consequences or death to humans or animals, Drozen noted. Such records must be made available within 24 hours of a request or as soon as possible.